Is there way to show the key combination short cuts in Gnome 3 applications in Fedora? For example, the hamburger menu in Evince, shows "Print..." whilst I know that the shortcut is "Ctrl+P". I would like to see the short cut, for example the menu option would show as "Print... Ctrl+P". I have seen this in old version of Gnome in other distributions but not with Fedora 2x. EDIT: this is a very old screenshot found in the interwebs that show the shortcut in the menus. There are two different kinds of menus: Traditional menus as you can see in Evolution or Geany do support showing keyboard shortcuts. New-style menus (technically: GtkPopoverMenu) do not support showing keyboard shortcuts as far as I know. @genodeftest , confirmed, Evolution and gimp show the shortcuts . this is a sad limitation of the new menus. I know it's not the answer you would like, but at least you can visualize the keys from the application menu in gnome shell. 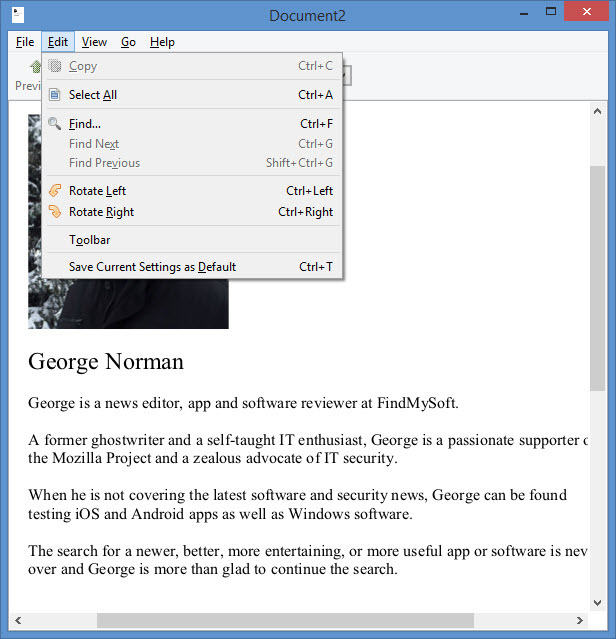 For instance, when selecting the evince window, click in Document Viewer menu at the top left and then select Keyboard Shortcuts. It lists all possible shortcuts and gestures. Firefox NEVER restores his session after reboot, please why? where are error message logged? How to reinstall or fix GRUB in Fedora without a recovery option on the Live CD? Anyone know of a better Kompozer?